One of my absolute favourite Indian dishes ever is sag paneer! 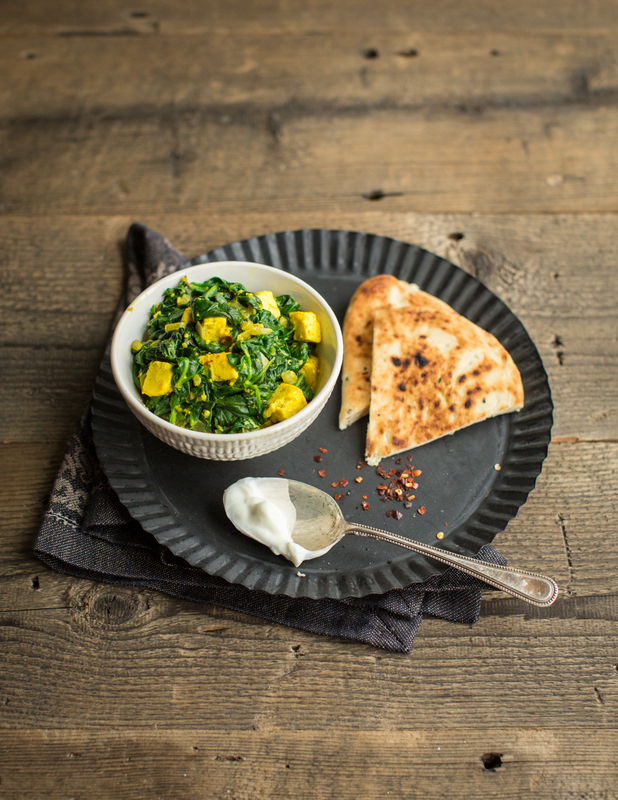 Spiced, creamy spinach speckled with buttery chunks of paneer – an Indian curd-like cheese. Since paneer is hard to find in Luxembourg, I’ve replaced it with halloumi cheese, and it works perfectly well! Boil the spinach in a pan with boiling, salted water until completely defrosted. Drain in a fine-mesh sieve. Melt the butter in a large frying pan and fry the onion with a pinch of salt for 4 minutes until soft. Peel and crush the garlic cloves and add to the onions with the ginger paste. Fry for a couple of minutes, then add the turmeric, cumin seeds and garam masala and fry for another couple of minutes until fragrant. Squeeze out as much liquid as you can from the cooked spinach, then add the spinach to the frying pan with the yoghurt and the cream. Stir so everything blends in together nicely and the whole comes to a gentle simmer. Season with salt and pepper. Cut the halloumi into 2cm chunks and stir through the spinach. Leave to cook for another 5 minutes until the halloumi has softened. Serve with toasted naan on the side. If you want to make this dish with actual paneer, head to an Indian shop and buy a block of fresh paneer. 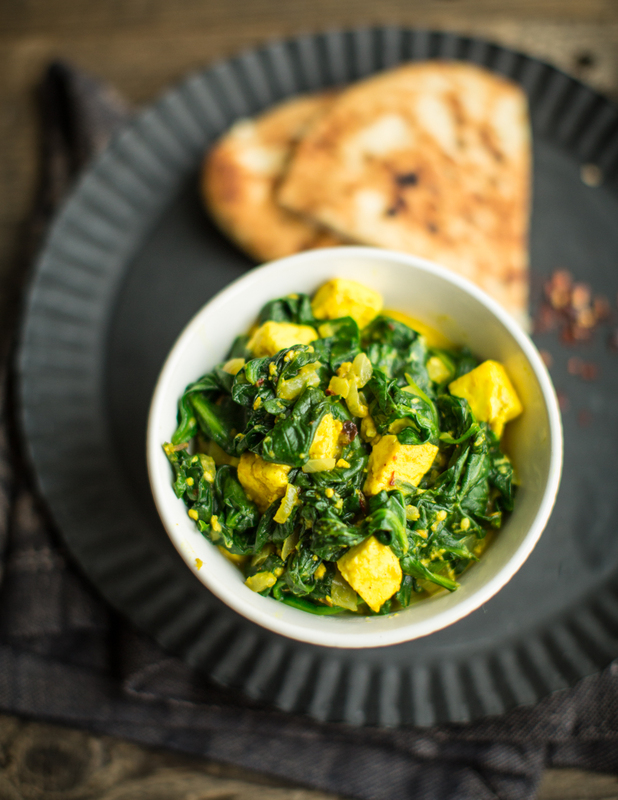 Sprinkle the paneer with a bit of salt and turmeric and fry in a good glug of vegetable oil before adding it to the spinach.